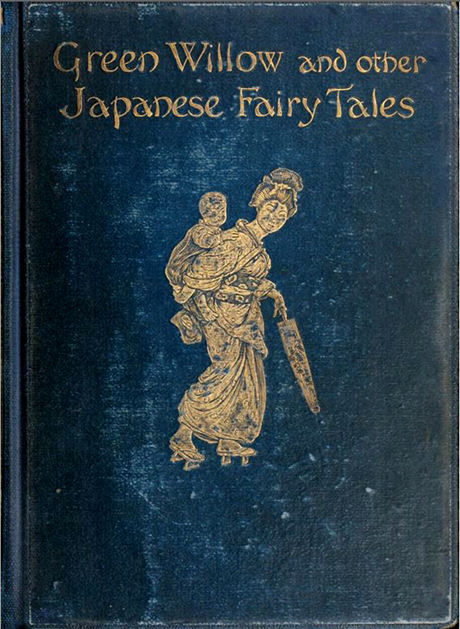 You can see a few of the book’s lovely illustrations below. 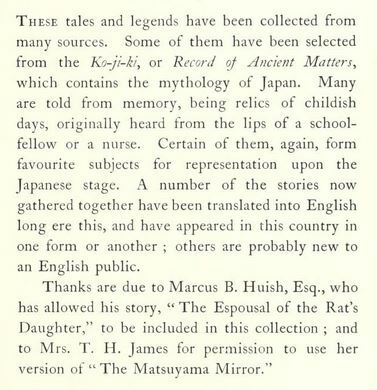 I really like rats and am especially charmed by rats in kimonos. 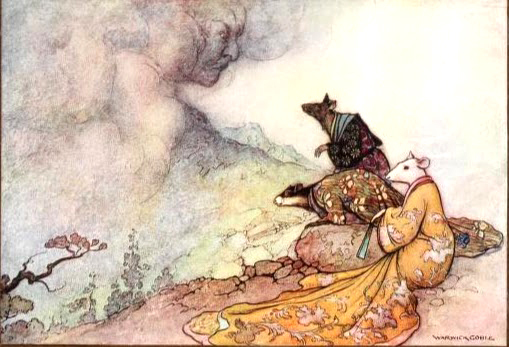 The illustrations remind me a bit of Arthur Rackham’s works. 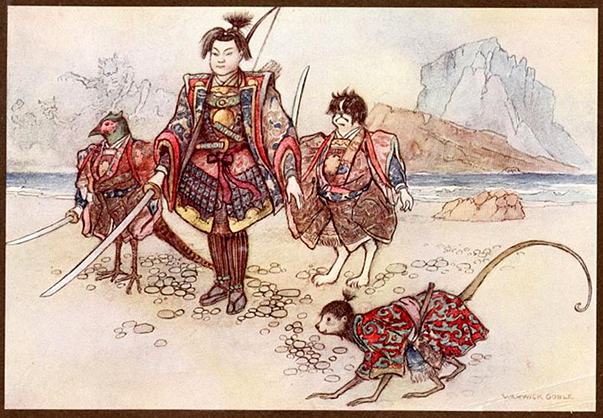 Japanese Lovers draw an Ai Ai Gasa. Ai ai gasa means ‘love love umbrella’. Here in the West, lovers draw a heart containing their names, sometimes carving it into the bark on a tree trunk. In Japan the expression of love that couples draw is an ai ai gasa, like the one below. 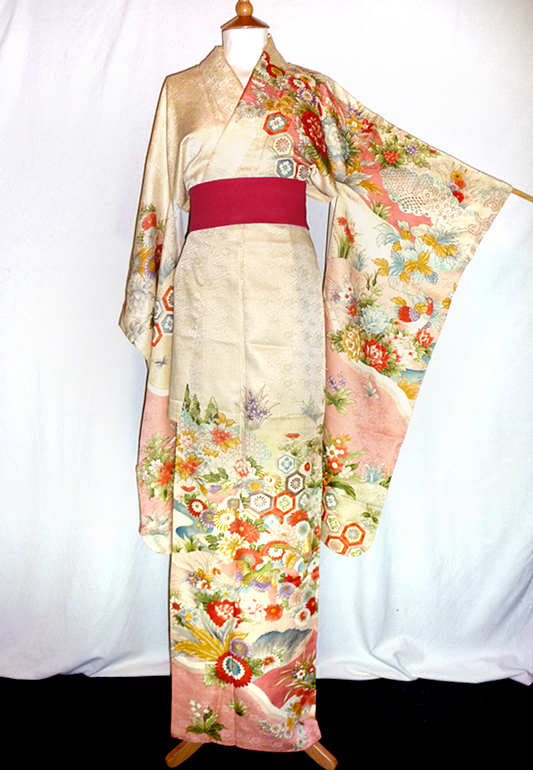 Here are two of my cotton kimonos. The first is one with a slightly op-art spotty pattern that I love, with kanzemizu (swirling water) in the large, grey spots, and the second kimono is an odori yukata, a cotton kimono that would be worn at an odori matsuri (dance festival), with a motif of traditional Japanese 3 stringed instruments called shamisen and some bachi, which are the huge plectrums used to play shamisen. 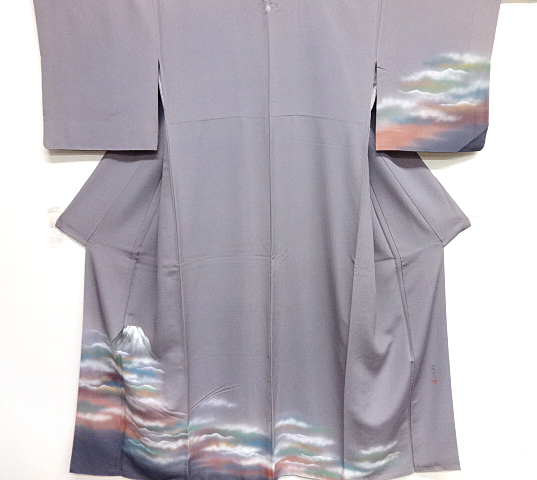 The shamisen motif cotton kimono. 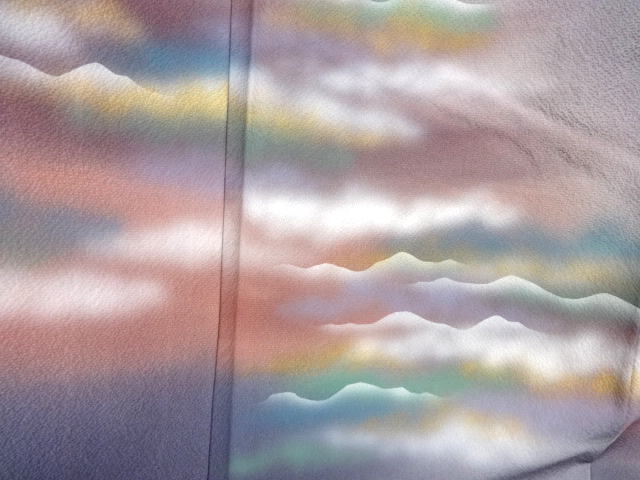 The next kimono is made of synthetic textile and is hand washable. 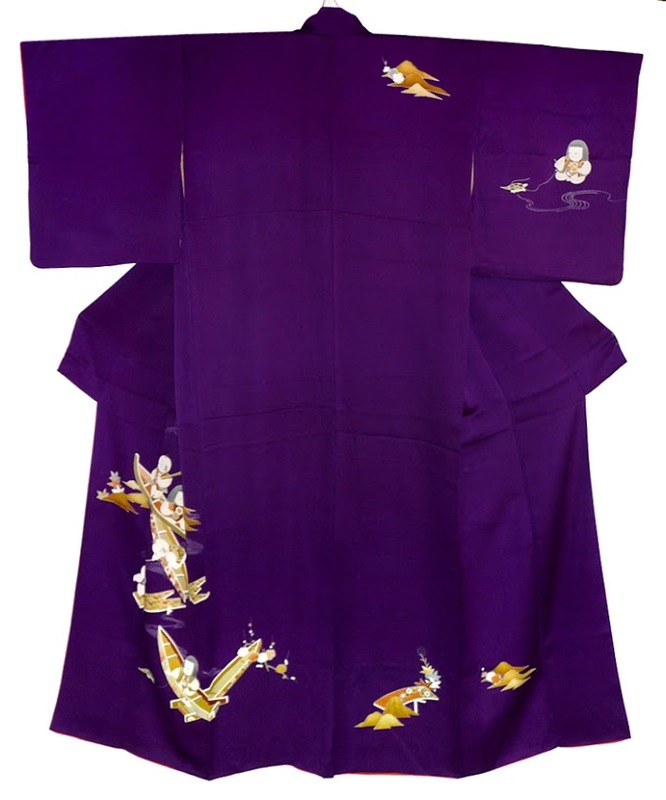 It is unlined and probably made for dance, as traditional Japanese dancers often wear synthetic kimonos because they can be washed and unlined ones to keep them cooler as they dance. 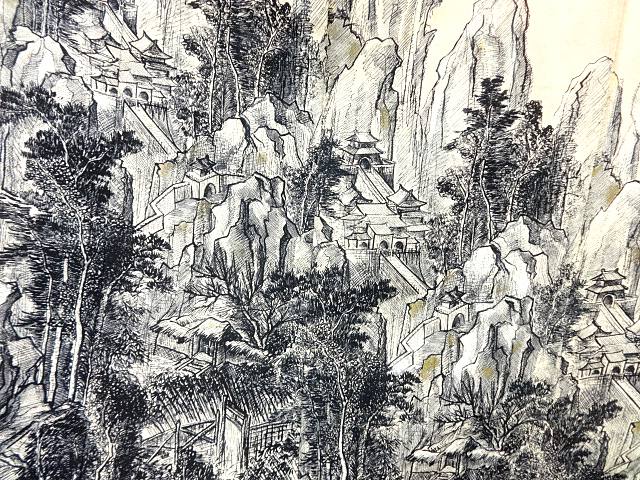 It is a nice bright green and a very painterly design. 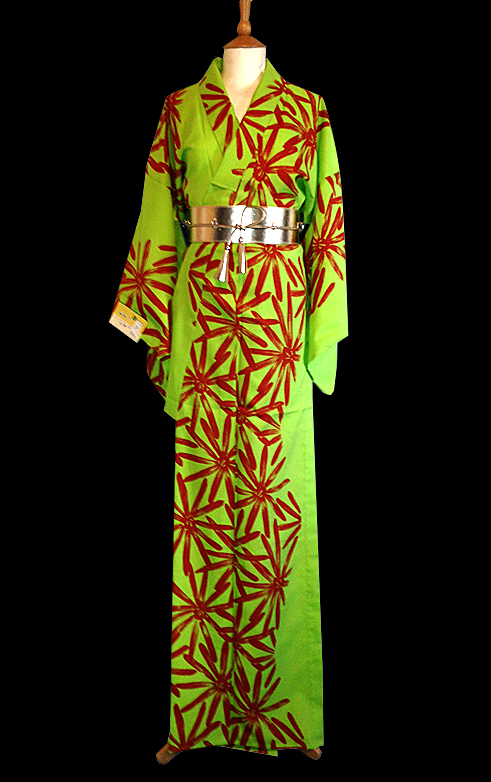 Green is a colour that relatively few kimonos come in; you do get green ones but there seem to be fewer of those than most other colours. 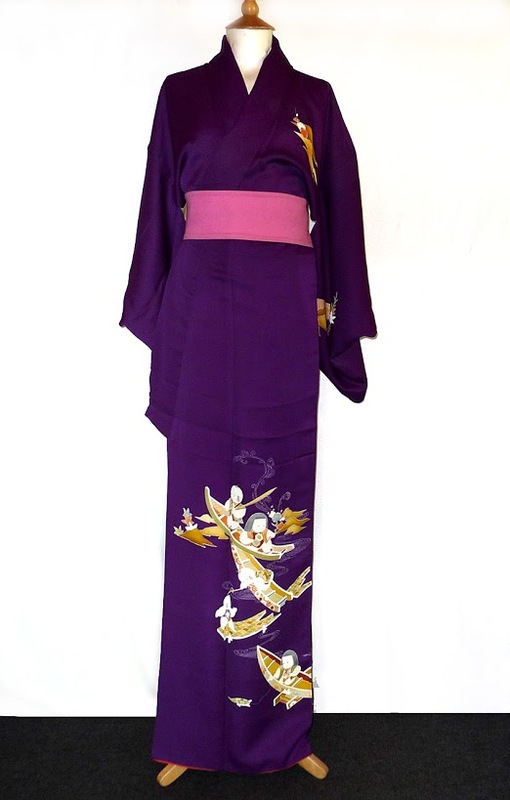 I have just added these three kimonos and several more to my website. 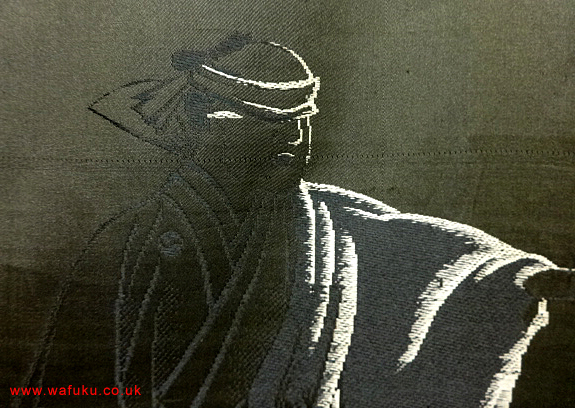 Here are three haori that I added to my wafuku.co.uk website this week. 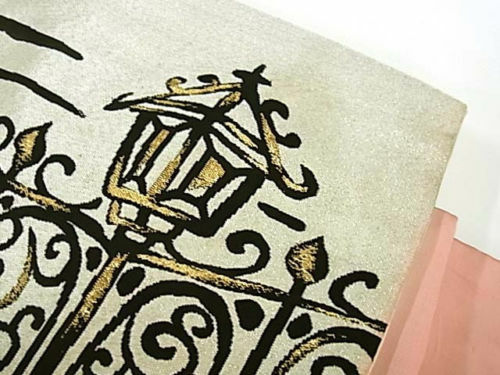 The first has a nice trompe-l’œil print that looks like red lace on a light blue ground. It is silk but, surprisingly, is of a weave that feels rather like cotton. 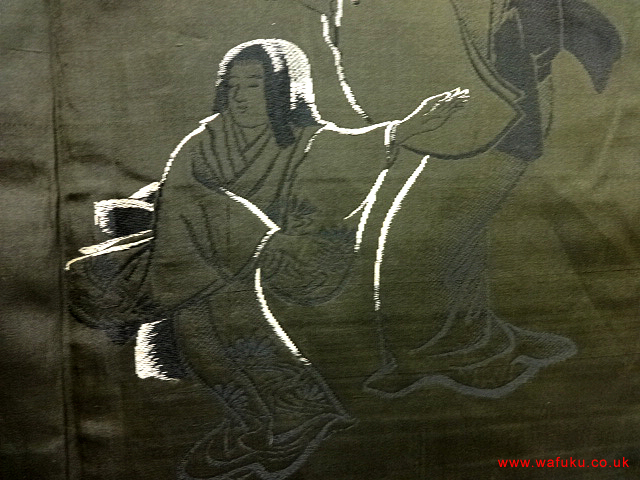 Silk, of course, can be woven into many textures and feels. 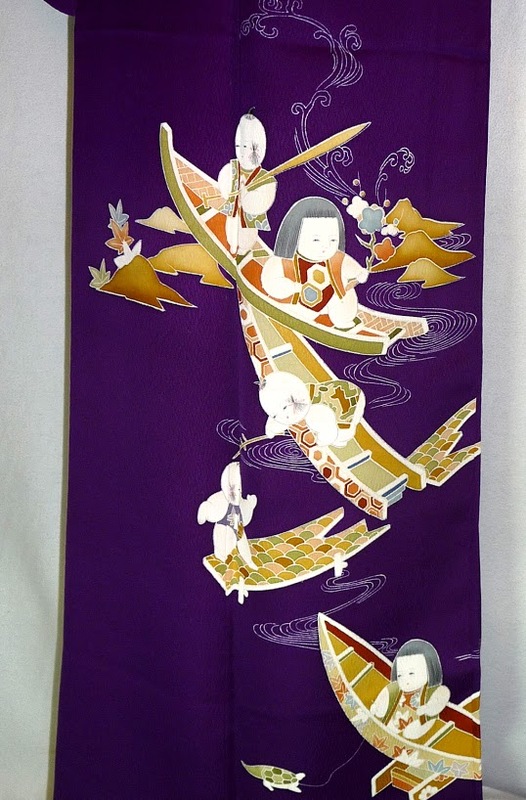 This haori also has cute little Daruma on the silk upper lining. 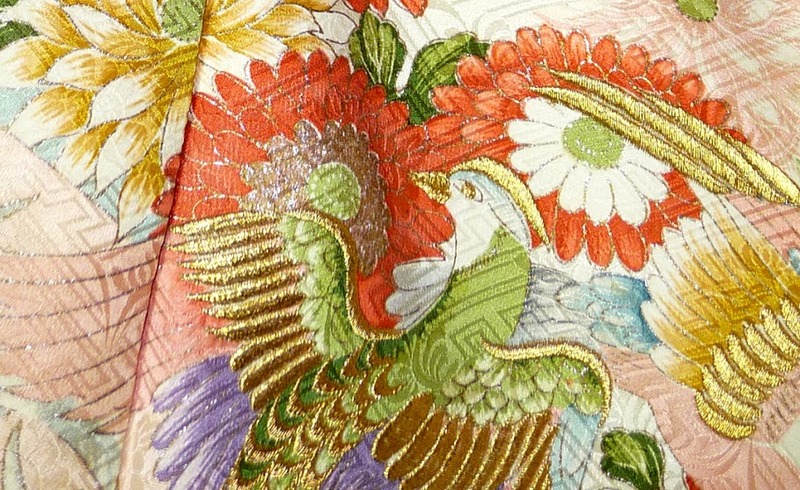 The next haori has houndstooth check (sometimes called dogtooth) made up of stylised cranes. 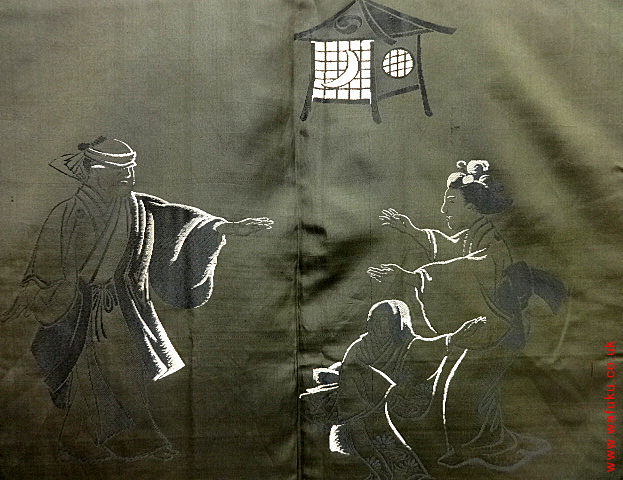 The third haori has a kanzemizu (swirling water) design on a bokashi (shaded) background. Cleaning kimonos, haoris and obis. 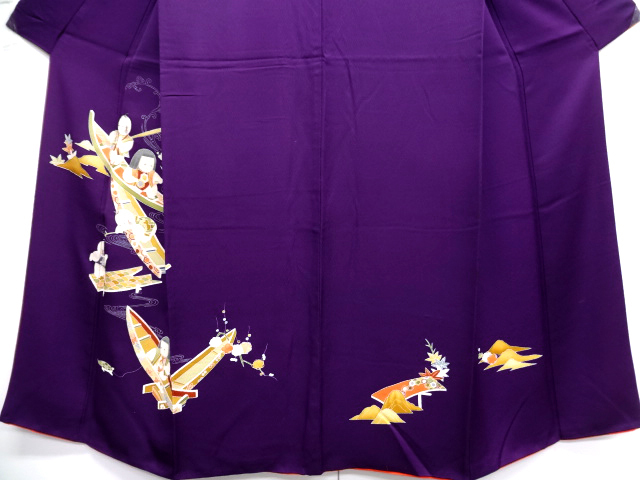 The traditional method of cleaning a kimono is called Araihari. 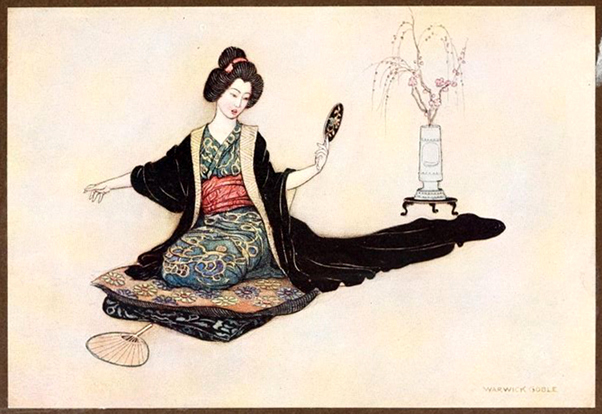 It involves unpicking all the stitches and taking the kimono apart entirely. 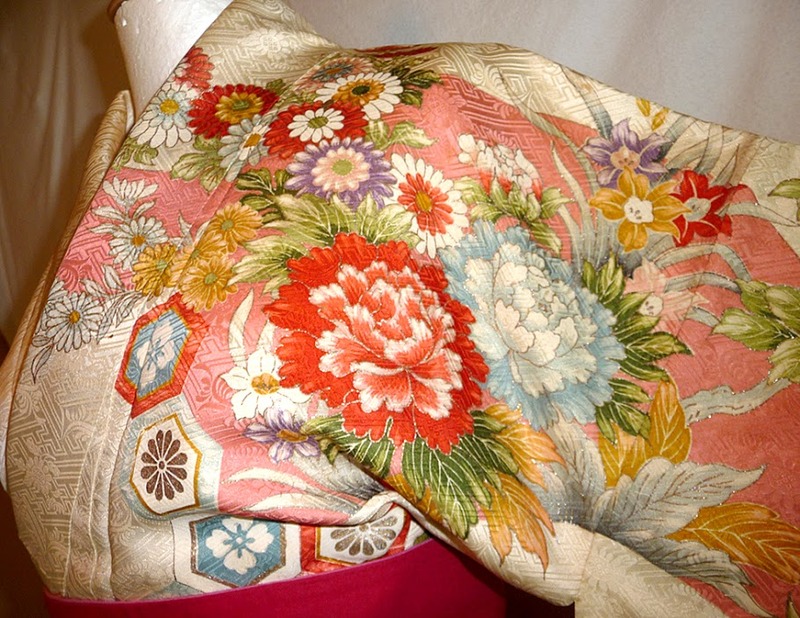 Each piece of kimono fabric is then stretched out and cleaned, then slightly starched and allowed to dry. 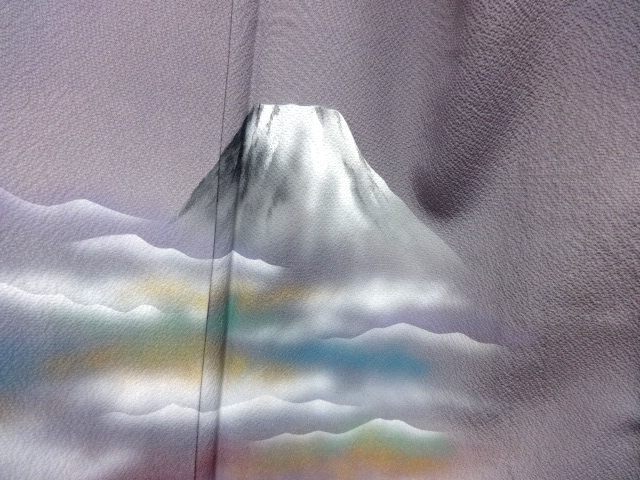 Once dry, the kimono has to be sewn back together again. 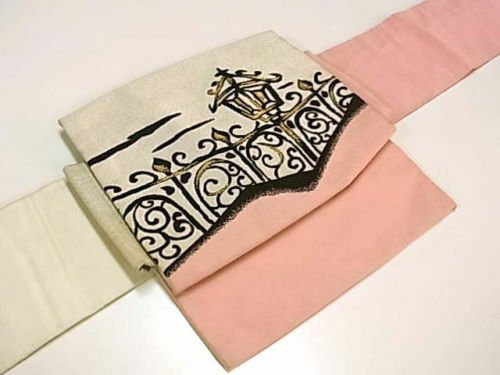 Obviously this is a very time consuming and very, very expensive cleaning method but if your kimono or haori has cost thousands of pounds, as silk ones tend to, or even tens of thousands of pounds, which is not unusual, it is a wise and worthwhile investment. 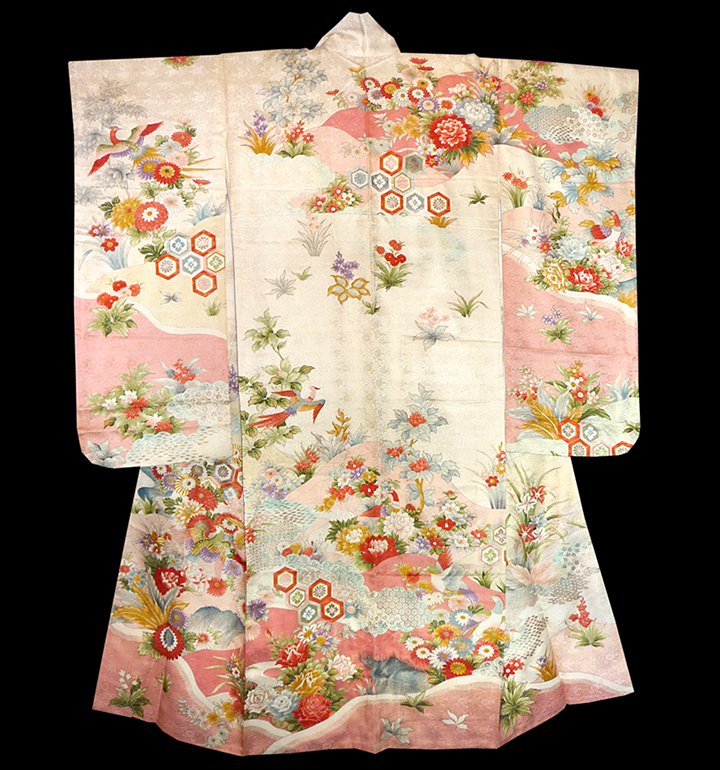 Araihari is still done but many people nowadays have their precious kimonos cleaned instead by specialist dry cleaners. 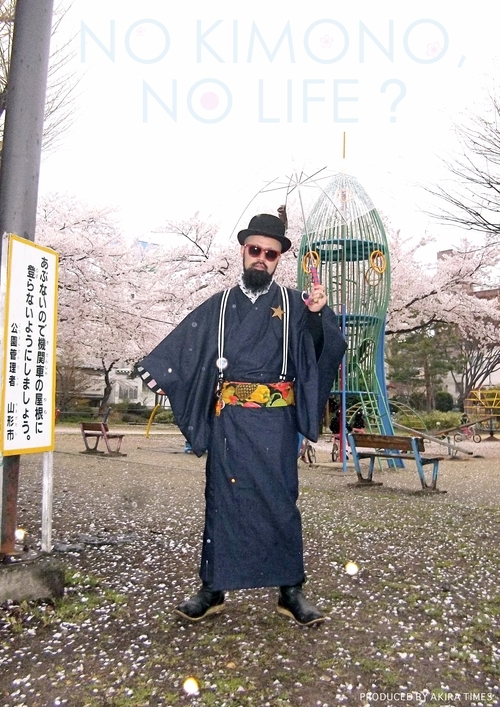 To have a kimono cleaned by arhairi, if one does not want to do it oneself, one uses a shikkai. 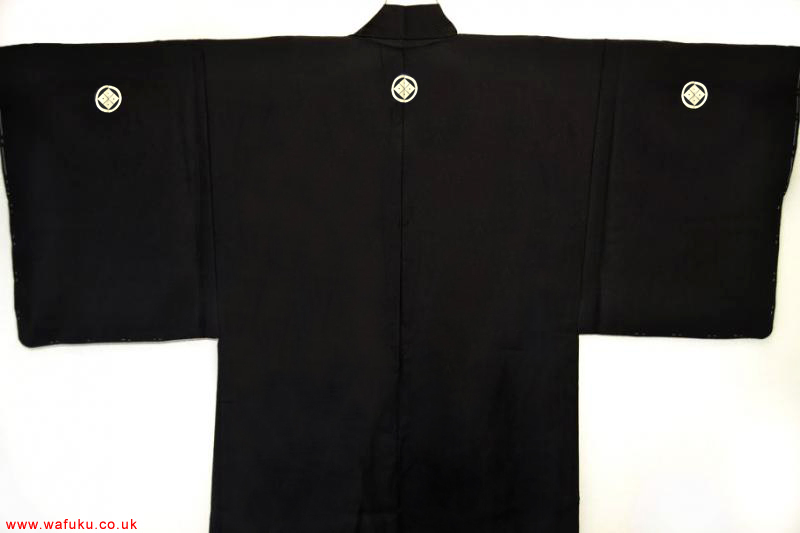 Shikkai is a place where they do a variety of kimono aftercare things, such as araihari (dismantling and washing), maruarai (washing a kimono just as it is, not first disassembles), shiminuki (stain removal) and kakehagi (invisible mending), sumpo naoshi (alterations), somekae (re-dyeing) and mon-ire (applying a crest or family crest -kamon). 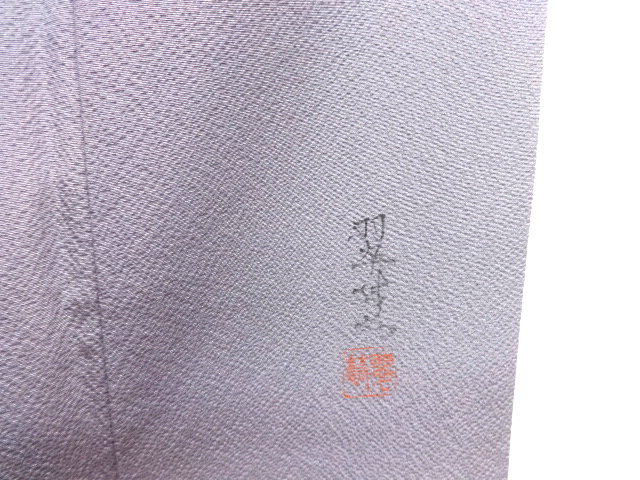 After araihari cleaning, as it dries, the kimono fabric has to be stretched to keep its shape and to smooth it. 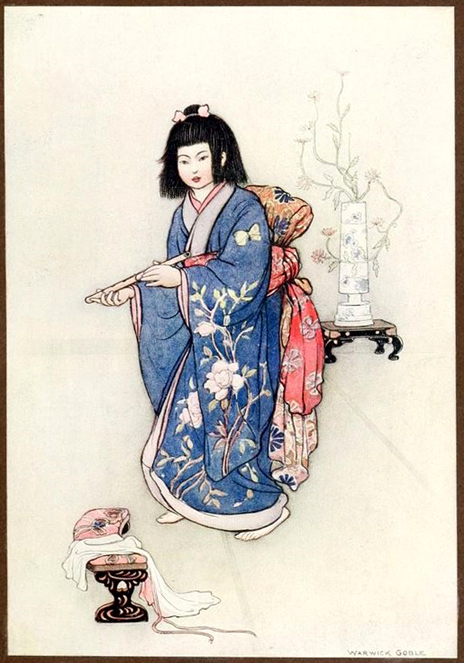 You can see, in the pictures below, how flexible rods called Shinshibari (a type of bamboo needle) are used to do this. 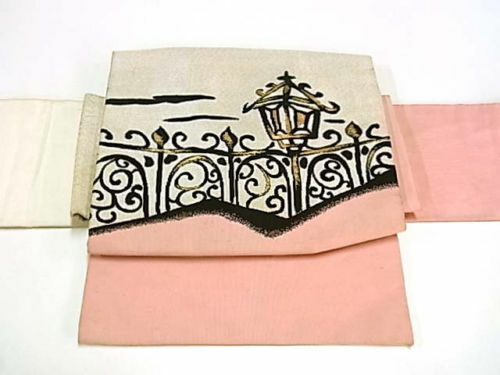 The fabric is held by wooden clamps at each end. Araihari requires a lot of space too. 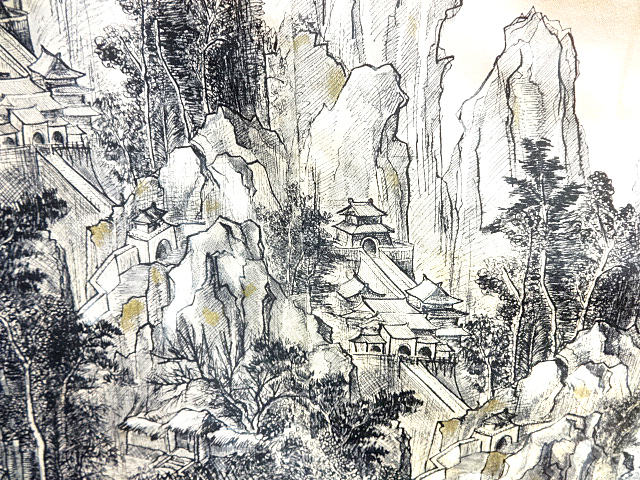 I was given the pictures by a friend, with no details of whom to attribute them to, so, if you know, please let me know. 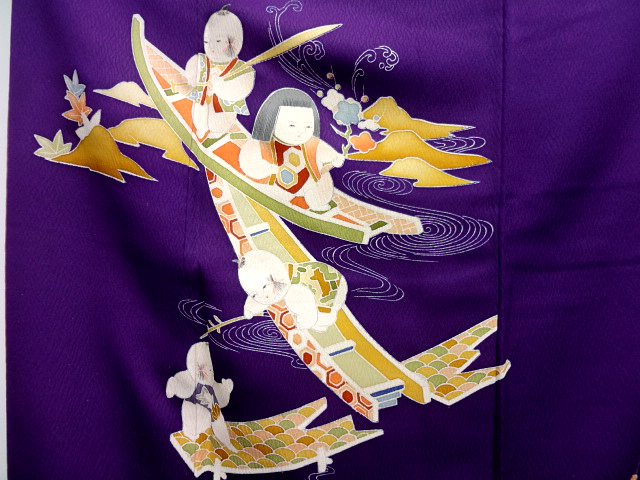 Sometimes the textile is stretched out on very long boards (note, from the front hem all the way up and over the shoulder, then back down to the back hem is one very long piece of fabric, as kimonos have no shoulder seams). Here are the required tools. Here is a large art installation, called Obi, by Yanda, which is a huge screen, with its design based on an obi being cleaned using araihari, for the exhibition of AODJ, which sends Japanese creativity worldwide. 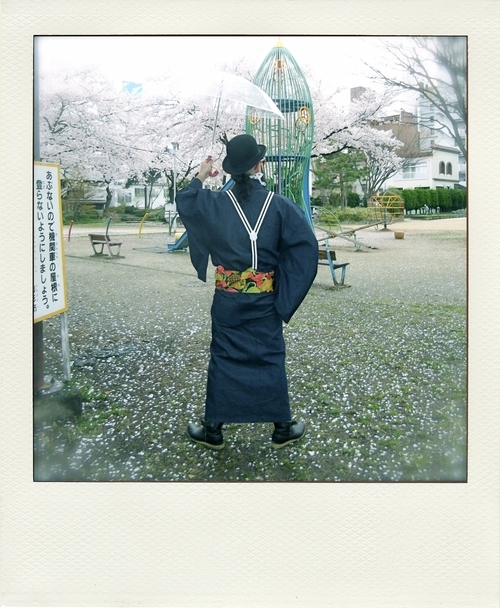 You can see the giant shinshibari (stretching rods) clearly. 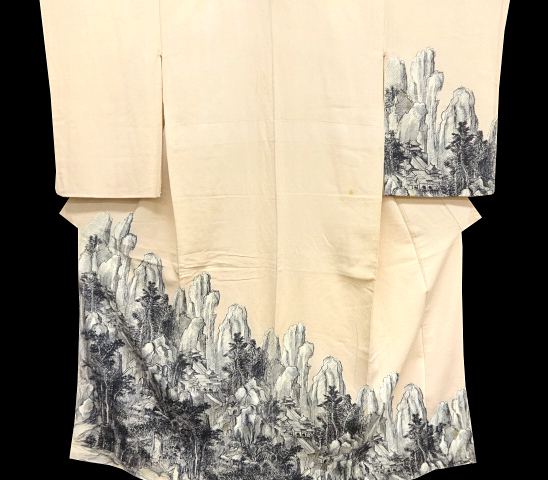 You can also see shinshibari (stretching rods) used here to keep a length of silk taut while a textile artist paints a design on it for a yuzen kimono. 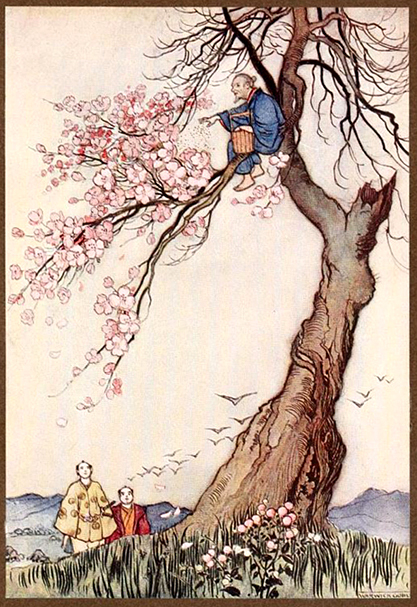 Here is a woodblock print by Katsushika Hokusai (1760 – 1849), called Two Beauties of Spring. 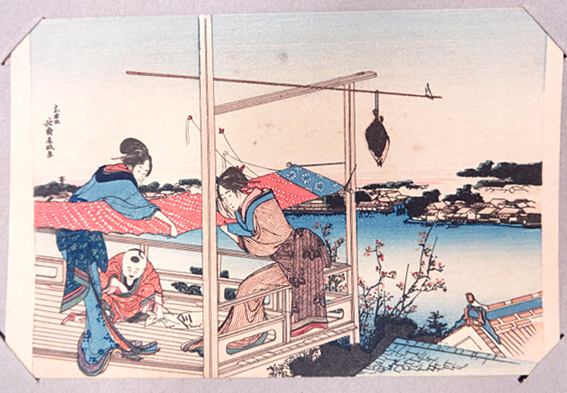 The women are cleaning a kimono using the araihari method. 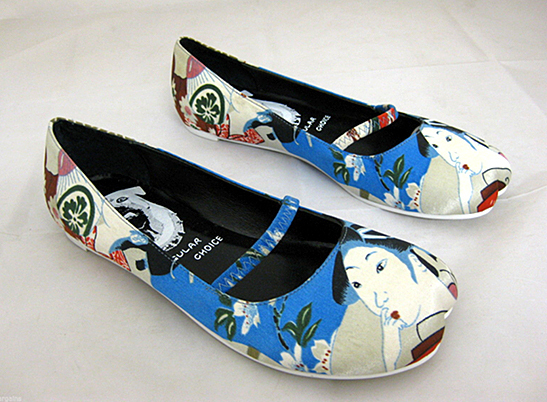 Katsushika Hokusai’s best known work, which you will have seen, is The Great Wave off Kanagawa.